In an often contentious first week of the N.C. General Assembly’s lame-duck session, Democrats and Republicans unanimously came together to pass a roughly $300 million bill to fund Hurricane Florence relief efforts. Senate Bill 823 passed the state House and Senate unanimously and was sent to Gov. Roy Cooper Thursday afternoon. Last month, Cooper signed an $800 million recovery package into law and lawmakers held $400 million in reserve. This latest allocation of recovery aid would account for most of that reserve. The bulk of it—about $240 million of the $300 million in the bill—will go to the Department of Agriculture to aid farmers whose crops and businesses were devastated by the storm. State Agriculture Commissioner Steve Troxler called agriculture “the foundation industry in many of these areas,” and told lawmakers Tuesday that the recovery bill was the most important thing in which he’s been involved since taking office in 2005. “This bill is the best thing the legislature can do right now to restart the economy in these rural areas that have been so heavily impacted,” Troxler said. “We are hopeful this will get this economic engine restarted in rural North Carolina,” he continued. The bill also contains $10 million to aid commercial fishing and shellfish farming industries through the Department of Environmental Quality. Speaking before the Senate Appropriations committee Tuesday, Jerry Schill of the North Carolina Fisheries Association said the fishing industry has been hard hit by multiple storms the last few years. The bill is a good start toward putting the shaken industry back together. $25 million as part of a short-term loan fund for local governments as they wait for Federal Emergency Management Agency funds to come through and funding for temporary housing for displaced people. $23.5 million for the Department of Public Instruction to help finish school repairs and renovations. The need is particularly dire in the Wilmington area, where schools are having to set up temporary classrooms to simply continue with the school year. $18.5 million for the Department of Environmental Quality for required federal matches related to coastal mitigation. $5 million for small business loans through the Rocky Mount-based Golden LEAF foundation. $1 million for the Administrative Office of the Courts to repair damaged courthouses. Some courts in coastal communities were closed for weeks due to damage to buildings and equipment. Rep. Nelson Dollar (R-Wake) touted conservative budgeting which he said allowed the state to build up the healthy rain-day fund needed to address the disastrous effects of Hurricane Florence. On Wednesday, Cooper submitted a request to North Carolina’s congressional delegation for an additional $6.3 billion in federal funding for Hurricane Florence relief. That brings the state’s total federal request to $8.8 billion. Even the larger request will only cover about 52 percent of the damage caused by the storm, now estimated at about $17 billion. Cooper outlined the ways in which the state plans to use the federal relief funds. Repairing highways, interstates, and the coast in ways that are resilient and safe, supporting the economy and tourism industry. 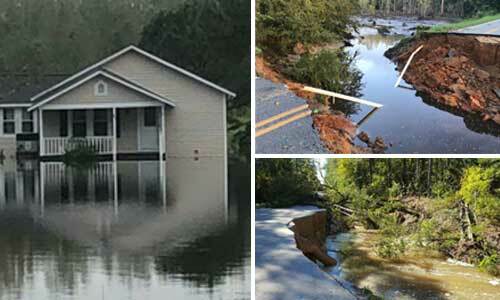 Building more resilient homes in safe areas across North Carolina. Reviving businesses that lost workers, income and stock with forgivable loans. Expanding the Recovery and Resiliency Office to coordinate efficient state and federal financial assistance for housing, infrastructure and recovery. Helping farmers whose harvest-time crops were ruined and providing incentives for farmers to invest in further resiliency measures. Ensuring medical help and mental health treatment for those impacted by the storm. 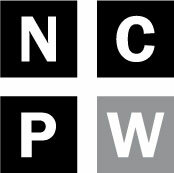 Joe Killian, Investigative Reporter, joined N.C. Policy Watch in August of 2016. His work takes a closer look at government, politics and policy in North Carolina and their impact on the lives of everyday people. Before joining Policy Watch, Joe spent a decade at the News & Record in Greensboro, reporting on everything from cops and courts to higher education. He covered the city councils of High Point and Greensboro and the Guilford County Board of Commissioners before becoming the paper’s full-time government and politics reporter. His work has also appeared in the Winston-Salem Journal, Go Triad, the Bristol Press in Bristol, Conn., and the Cape Cod Times in Hyannis, Mass.